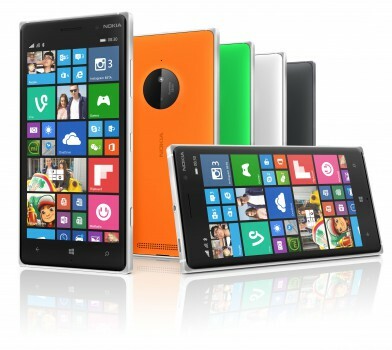 Smartphones » Microsoft announced its new line of Smartphones – Lumia 730, Lumia 735, and Lumia 830. Software giant Microsoft shows off, at the Berlin IFA tech show 2014, its 3 new mid-range Smartphones – Lumia 730, Lumia 735, and Lumia 830. Lumia 730 and Lumia 735 dual SIM phones. These phones have been designed especially for Skype users, letting them switch from voice to Skype video calls with just one tap. All the devices run Microsoft’s, the new Lumia Denim Windows Phone 8.1 Update which enhances the performance capabilities of the phone. It mainly focuses on camera performance, enhances the speed, quality, auto HDR abilities, wireless charging, 4k video recording options, availability of NFC-connected device and so on. The update does not work on Window Phone 8 devices from other manufacturers like HTC or Samsung. The Lumia Smartphone users will be able to create file folders, equivalent apps on other platforms by just a drag and drop, as done by Apple’s iPhone and Google’s Android System. The Windows phone app store includes information on weather, health and fitness, smart home data. This is a dual SIM, 4.7 inch, 1280×720 pixel display that features curved glass, 15 GB of free OneDrive cloud storage, 1.2 GHz Qualcomm Snapdragon 400 processor, 6.7 megapixel camera, a full HD 5-megapixel wide-angle front facing camera, LTE networks support and wireless charging support. Lumia 735 is priced at 219 Euros. This phone is similar to Lumia 735, but lacks 4G network support. Lumia 730 is priced at 199 Euros. Both phones have 8GB storage, expandable 128 GB with the use of micro SD card, 1 GB RAM, 2220 mAh battery wireless charging compatible, and 1.2GHz processor. This Smartphone has a larger 5 inch, 1280×720 pixel display with Corning Gorilla Glass 3, 16 GB of storage expandable up to 128 GB via a micro SD card, 10 megapixel PureView camera with OIS, 3 high performance microphone , Qi wireless charging support, 1GB RAM, 2200 mAh removable battery, 1.2 GHz processor. It has a high-end camera which Microsoft called “affordable flagship”. This new Smartphone combines the best of Lumia. It has a PureView camera with Zeiss optics, a thinner optical glass than the previous models. 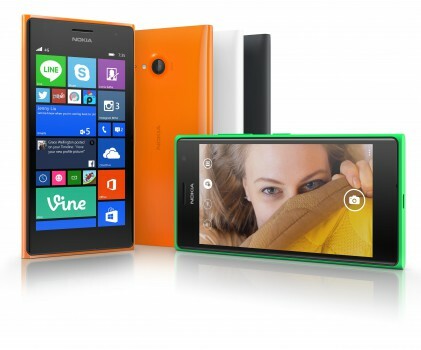 Microsoft has rectified some of the bigger shortcoming of the previous model, Lumia 820, with the new Lumia 830. This new model has a better camera, higher resolution display, and improved processor and more.